Happy Monday! Hope you all had a great weekend! 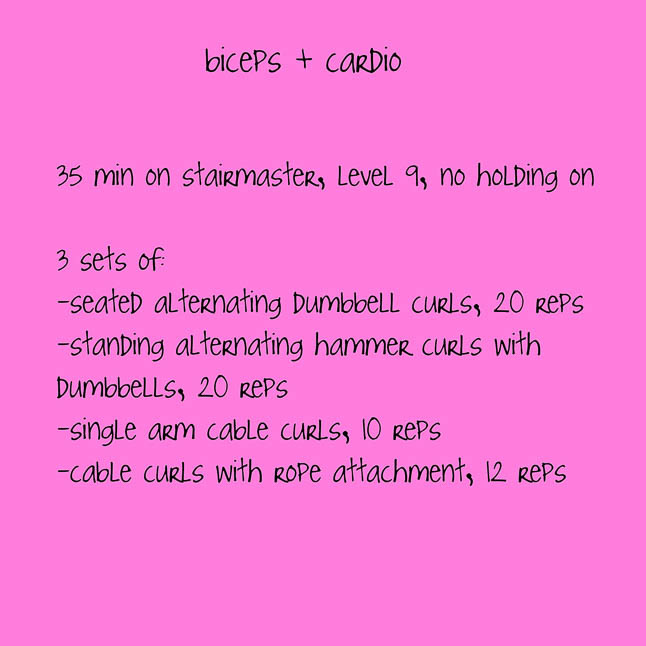 We had a packed weekend, so we had a few shorter workouts and some random meals, but we will share what we did! 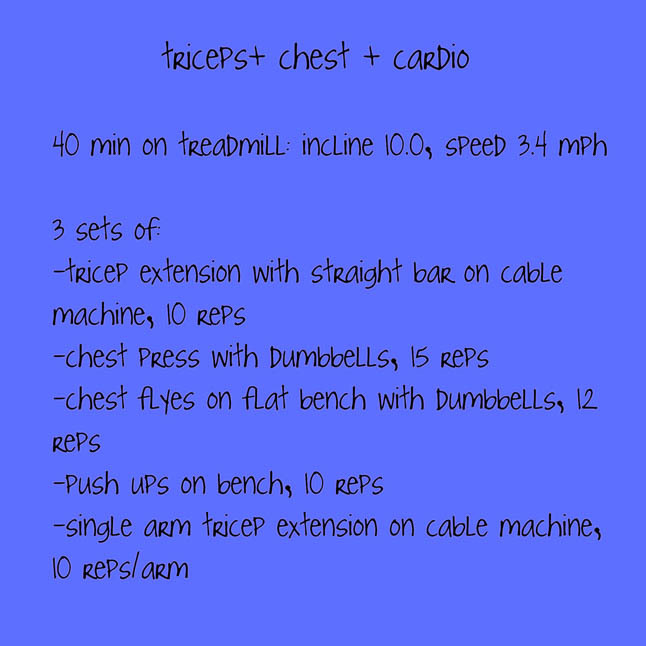 First off, I have to share my favorite workout clothes this week! As if I need any more clothes! 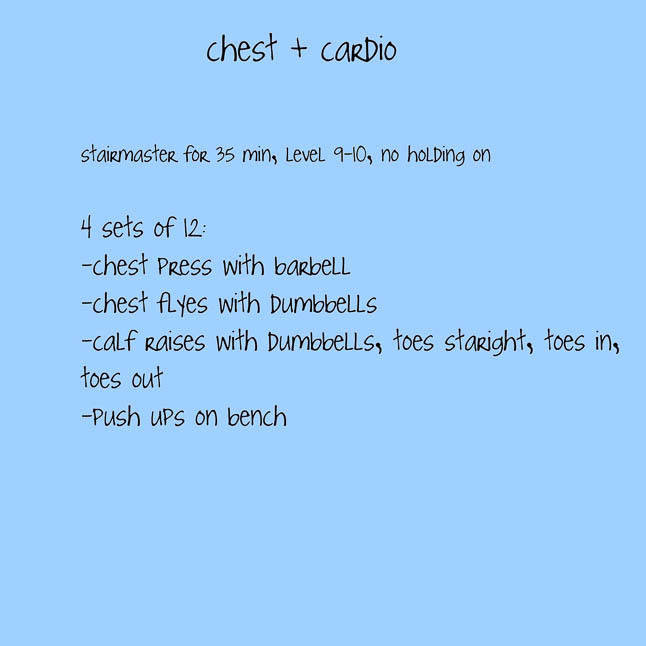 PS- we have been doing Flywheel and have been loving it. If you haven’t tried it before, you can get your first class free here! On Monday, we went to Orange Theory with my boyfriend. 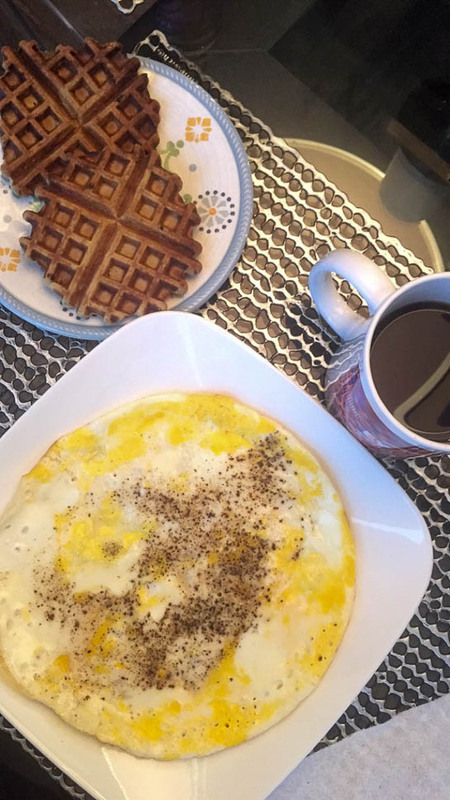 We had made waffles all day long, so we were really exhausted, but felt great afterwards! 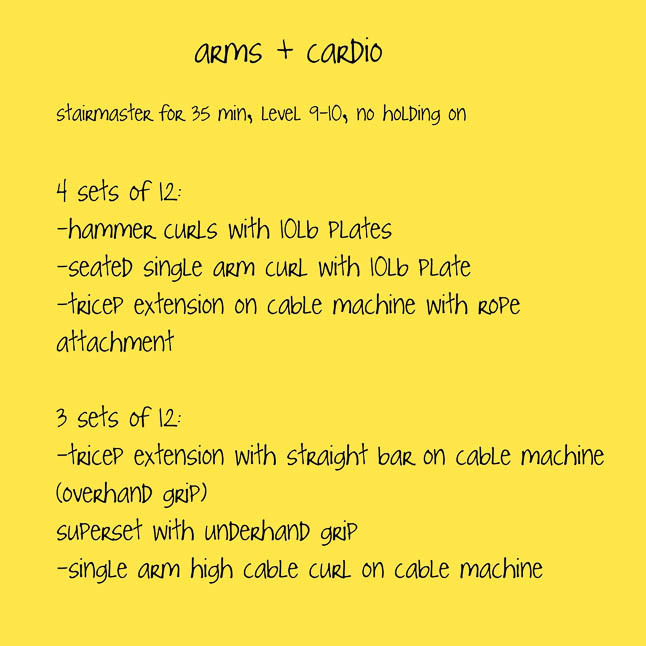 Arms (Sam): On Friday, we did the pilates reformer class at our gym and LOVED it! 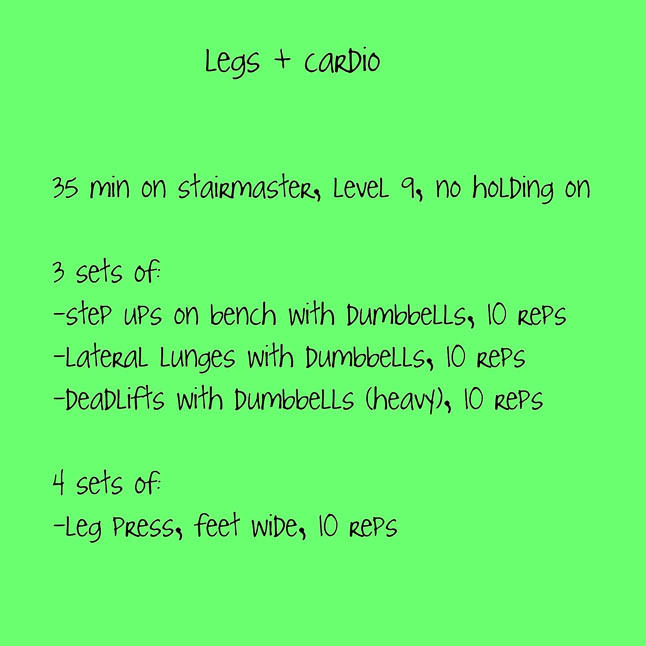 We definitely want to start incorporating it more into our workouts. 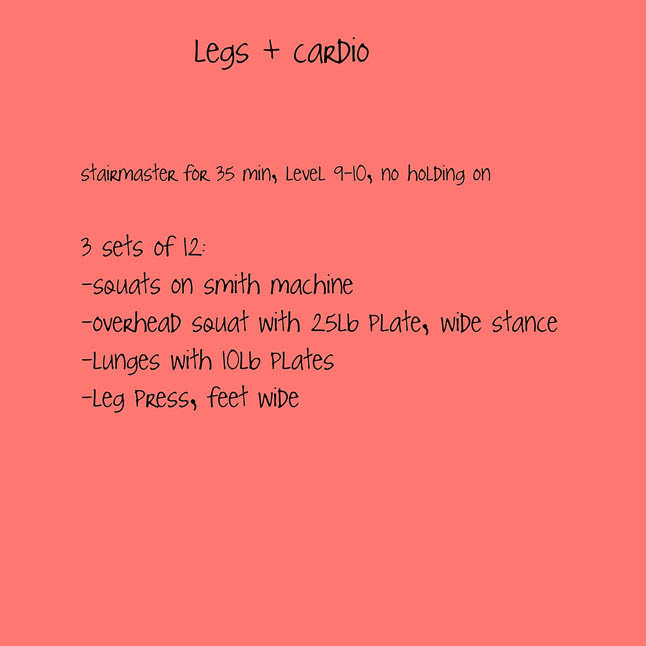 It helps with so many things like posture, and my inner thighs got super sore! On Saturday, we had a super busy day with the Byron Nelson, so we went on a quick 2.5 mile around our neighborhood and realized we had matching shirts on when we got back from the run. SO embarrassing! 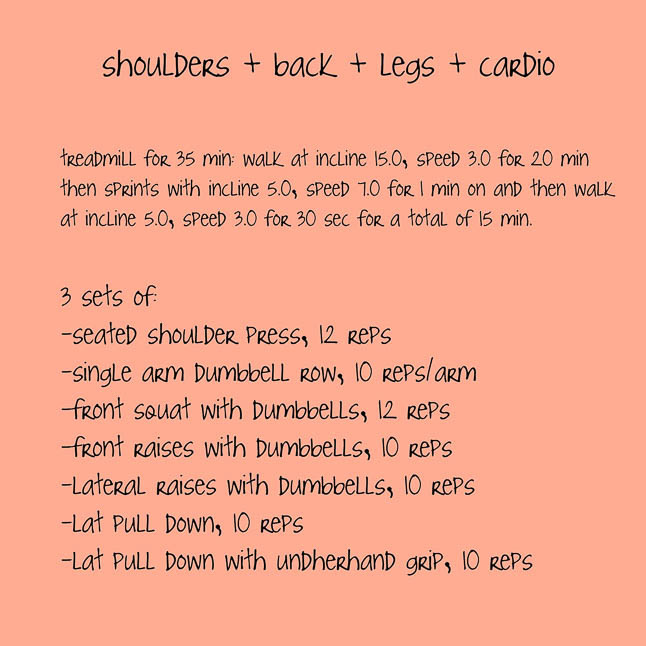 On Sunday, we had skipped a few days at the gym, so combined legs, back, and shoulders into a quick workout! Alexis: And, now for our meals from this past week! I was pretty bad about remembering to take pictures, so here are some of them, but definitely NOT all of them! We couldn’t decide where to eat after our workout at Orange Theory, so my boyfriend chose Zoe’s Kitchen, which ended up being a great idea! 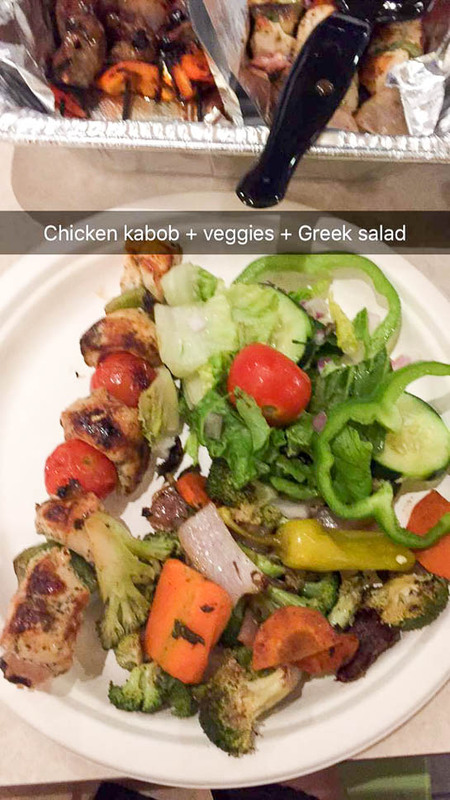 We got the family order of kabobs and got half steak and half chicken with salad and roasted veggies. It was so good and is a great deal! I definitely stuffed my face more when I got home because I was HANGRY! 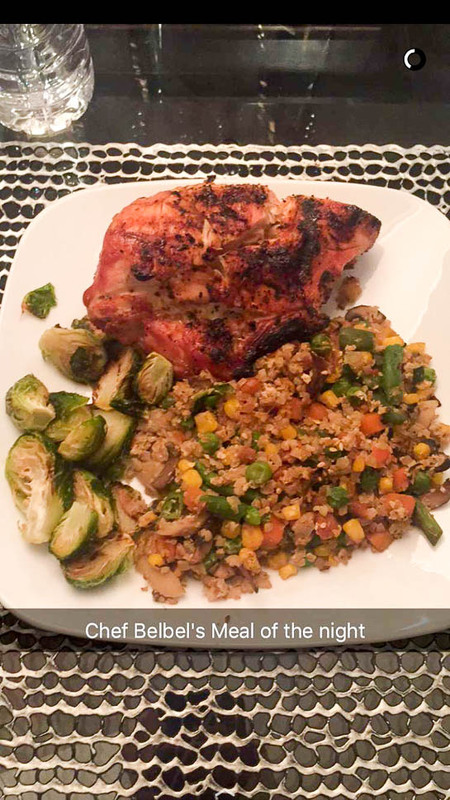 On Wednesday, I finally switched up my dinner and made something new I had been wanting to make forever. I made my boyfriend dinner (and was a nice sister and made some for Sam, too!) 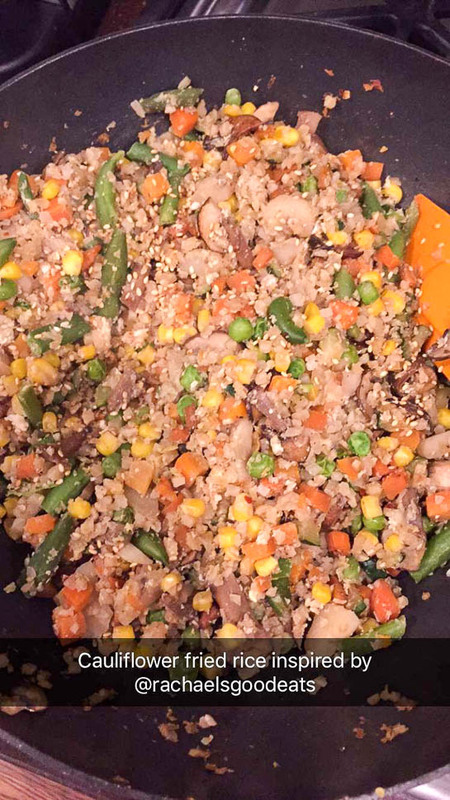 I made cauliflower “fried rice” with riced cauliflower, mushrooms, corn, green beans, carrots, water chestnuts, garlic, ginger, and liquid aminos. It was so yum! 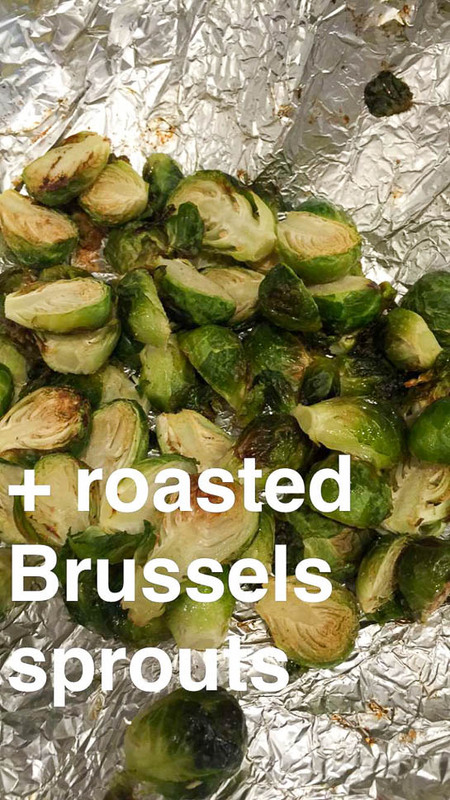 Of course, I also made my favorite: roasted brussels sprouts with avocado oil roasted at 450 degrees for 20 min. 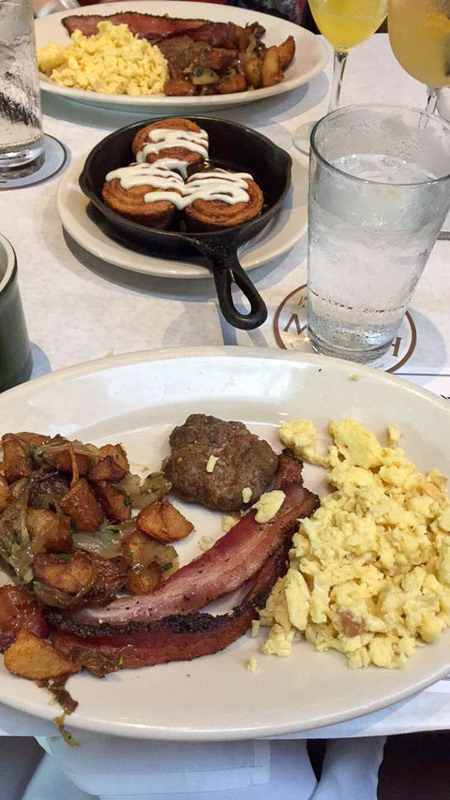 My boyfriend snapped his meal, so I stole his picture since I didn’t get one of the full plate! I also grilled some chicken breasts! 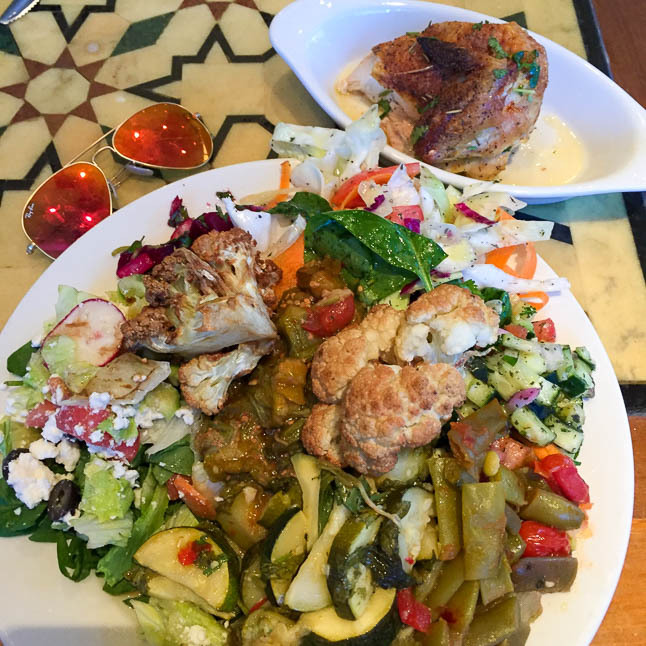 On Friday, we went to Mediterranean at one of our favorite spots, Fadi’s right by our house! The guys that work there never think we are going to eat of all of it! 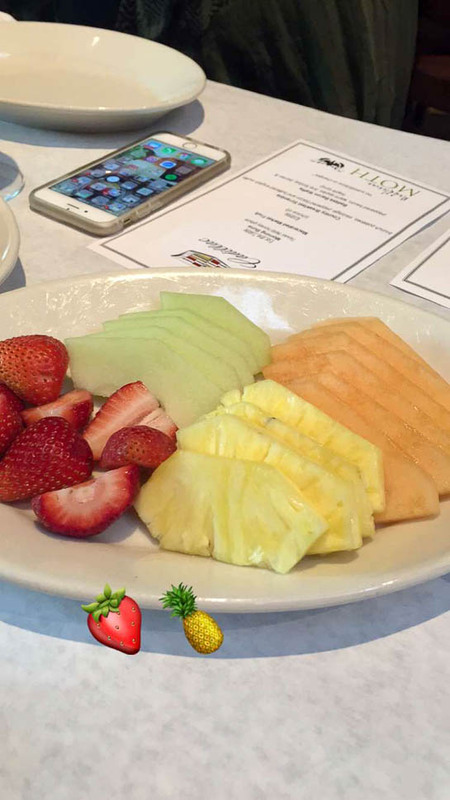 On Saturday, we had an omelette (2 eggs + 2 egg whites) + 2 Double Dose Bakery waffles (gluten free and paleo) On Saturday, we went to the Byron Nelson on behalf of Cadillac. It was a BLAST! 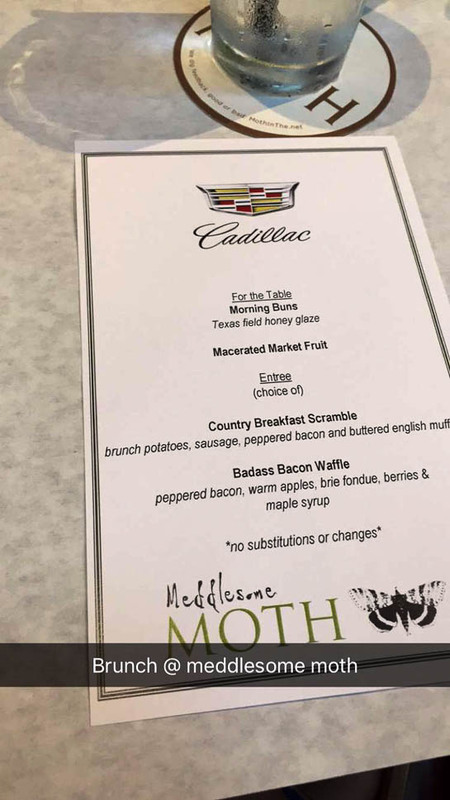 We hadn’t been before, but basically, we got to drive in various Cadillac cars to brunch at Meddlesome Moth with some of our friends and then to the Byron Nelson. How yummy does this look?! The bacon was so good! And, they even gave us gluten free toast! 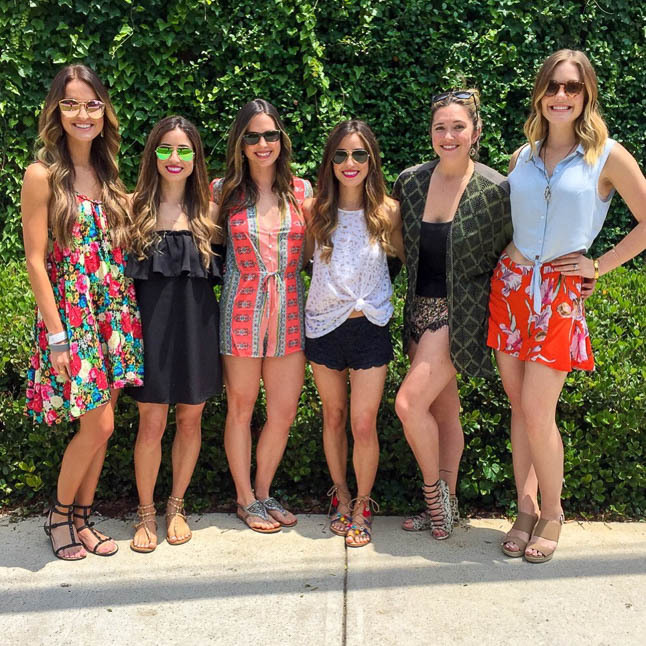 Just had to share this cute picture of all of us outside of brunch! Such sweet girls! 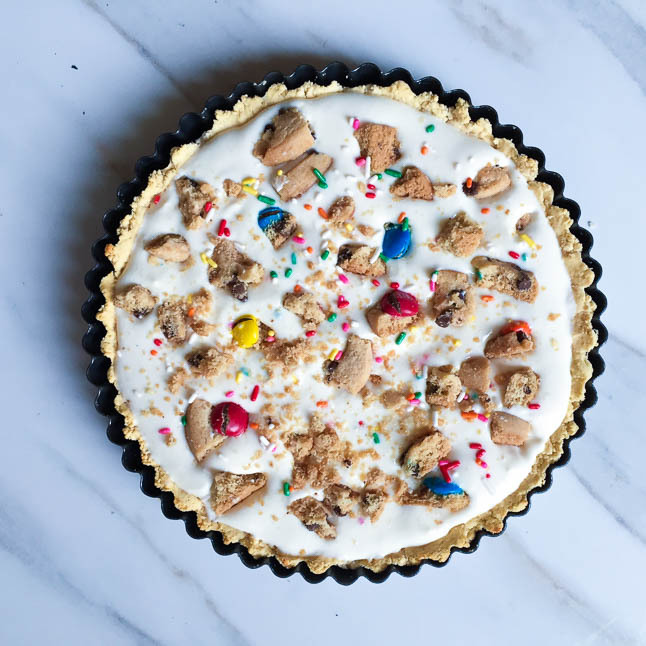 Sneak peak of this cookie confetti cheesecake I will be sharing on the blog tomorrow! Get excited!